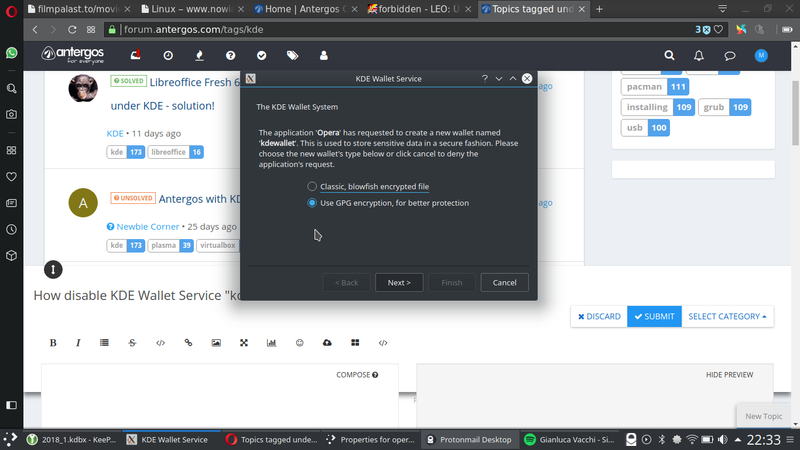 How to disable KDE Wallet Service "kdewallet"
Go to the “KDE Wallet” tab. 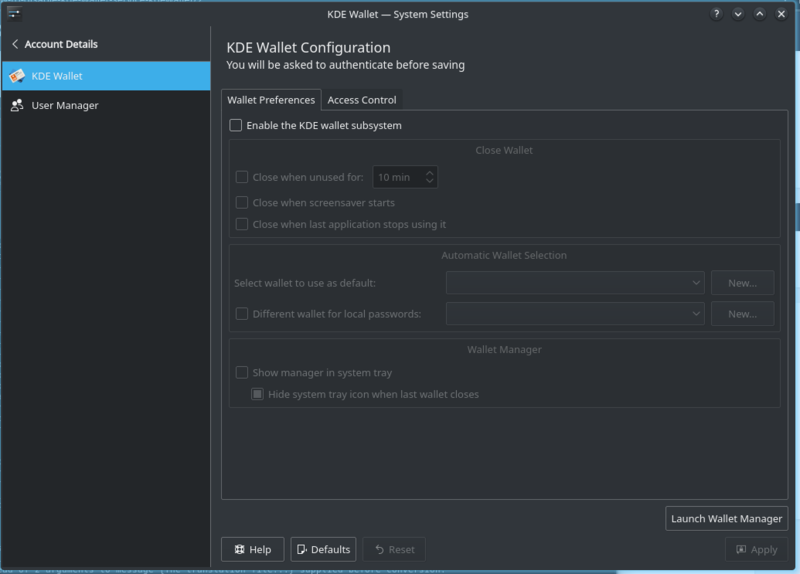 Uncheck Enable the KDE Wallet subsystem. Click Apply to apply the changes and close the settings window.